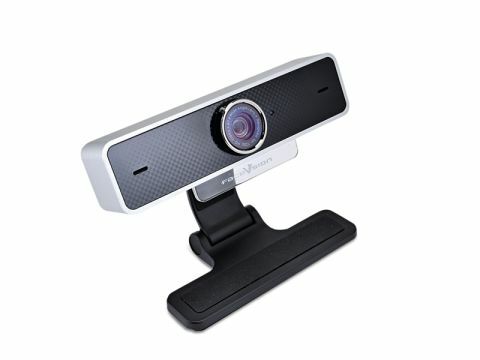 Is this HD webcam worth the high-price tag? With the FaceVsion TouchCam N1 retailing dangerously close to the £100 mark it's going to have to be a bloody good camera to justify it's very existence. After all, how many of us really need a high definition webcam? Come to think of it who actually needs a standalone webcam full stop? Trying to convince a buying public, who likely as not have a laptop as well as their desktop PC, that an external webcam is necessary when there's one sat in the lid of their lappy is always going to be tricky. Especially if you're asking this much cash. But luckily the TouchCam N1 is a darned good camera. With Skype and Live Messenger both hitting the HD video messaging trail the N1 is all ready to roll. It's picked up pretty much immediately by Skype, and so it should considering it comes bundled with the installer in the FaceVsion packaging. There's precious little else in that package though; no fun stuff and no recording/editing software either. Which for this price is a bit of shame. Frame rates are nothing to write, or video call, home about either averaging around 19fps. Which is a little short of the purported 22fps which the marketing spiel would have you believe. Still, there's no hassle actually getting the cam working, it's about as driverless as they come and all it needs is plugging in and you're away. It is a pricey beast, but if you're in the market for a HD webcam then you'll get framerates as smooth as any other on the market and guaranteed Skype compatibility too.